NIK[E]rnest: The Products are DURABLE! All right! Its time to catch up! 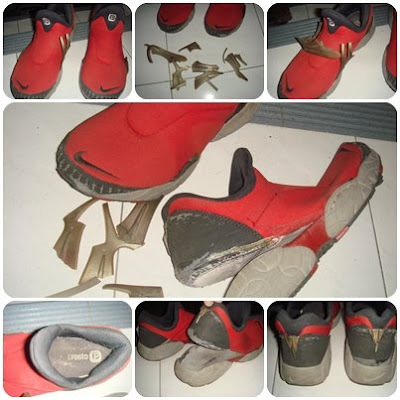 This post will talk about the durability of Nike products. I would say the Nike products is durable as I had personally experience it. The products is very long-lasting. You don't believe? Ok, I will prove my words. I will show you guys some photos as photos worth millions of word. 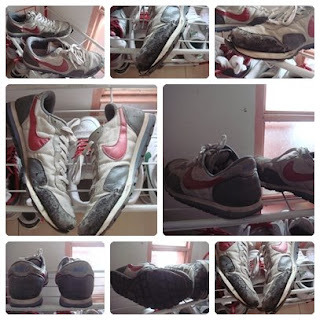 Below, there are some pictures regarding my experienced on Nike products, that I had used it for many many many years. The products is still with me now at my hometown as i keep it as collection. I manage to took the photos during midterm-break. 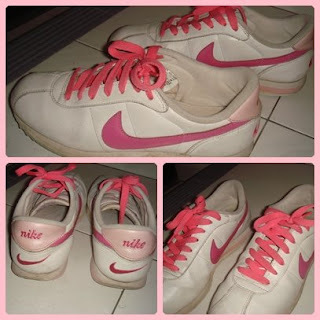 I bought this shoes when I was form 3, year 2002 if I'm not mistaken. 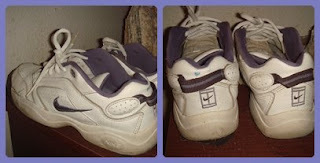 I love this shoes very much, unfortunately the life of this shoes was over last year. The material of this products was fully damage after 6 years. I bought this footwear when I was in upper 6, year 2005. I stopped using this footwear this year because bottom no more flower(bunga sudah habis... tergelincir jika kena air) hehe! It last for 4 years. I bought this when I was form 4, year 2003. 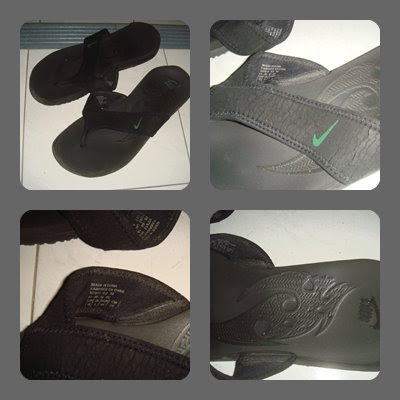 I used to wear it for sport activities. It is a good running shoes, very comfortable. But the front part almost spoiled("cacat"). Saving money to go for a new one hehe. We are fans of Nike! LOL!